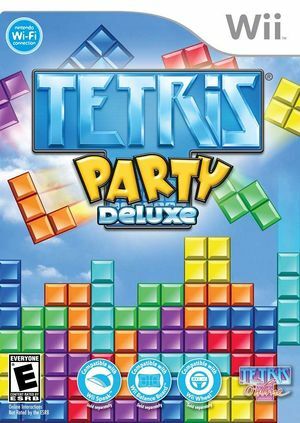 Tetris Party Deluxe, which was announced by Tetris Online, Inc., Hudson Soft, Nintendo Australia and Majesco, was released in North America on June 1, 2010, in Europe on September 3, 2010 and in Australia on October 14, 2010 for the Wii and the Nintendo DS systems. The game will force the player to play using the Upright Wii Remote even if you check "Sideways" in the "Dolphin Wii Remote Configuration" window. Possible solution is to make under the "IR" Section of the "Dolphin Wii Remote Configuration to find "Hide" and then right click on the button space, it will pop up advanced button mapping, and find a button you DON'T use and select it and then click on "NOT" then click "OK". The graph below charts the compatibility with Tetris Party Deluxe since Dolphin's 2.0 release, listing revisions only where a compatibility change occurred. 4.0-7847 Windows 7 Intel Pentium G3258 NVIDIA GeForce GTX 650 Ti Runs at a steady 60FPS at 2.5x internal resolution and 16x AF. This page was last edited on 24 February 2018, at 15:27.